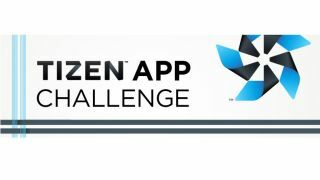 Will you take part in the Tizen App Challenge? While Samsung is clearly focused on the Android ecosystem at its core with the likes of the Galaxy S4 and Galaxy Note 3 arriving this year, it hasn't forgotten about the feature-smartphone hybrid Tizen. Samsung ditched its home-brew feature phone OS, Bada, a while back as it looked to merge its efforts with Intel to further develop the Tizen platform - although it's all been pretty quiet on this front thus far. But Tizen's back with a brand new rap - well a cash incentive anyway, as a huge prize pot of $4 million (around £2.7 million, AU$4.3 million) has been pooled by Samsung and Intel in a bid to attract app developers to the platform. There a various categories into which apps can be submittted, with the top prize in each "game" category totalling a healthy $200,000 (around £135,000, AU$218,000), with two runners-up prizes of $100,000 (around £67,000, AU$109,000) and then a further three $40,000 (around £27,000, AU$43,000) cash pots to be had. Meanwhile developers who enter applications into the "non-game" categories will be jostling for a $120,000 (£80,000, AU$130,000) jackpot in each section, with runners-up prizes totalling $60,000 (£40,000, AU$65,000) and $20,000 (£13,000, AU$22,000). Developers have until November 1 to submit their applications, but it won't be until quite some time after that until we find out if the cash incentives have done enough to get people on board and make Tizen an attractive proposition to consumers. The wait goes on.